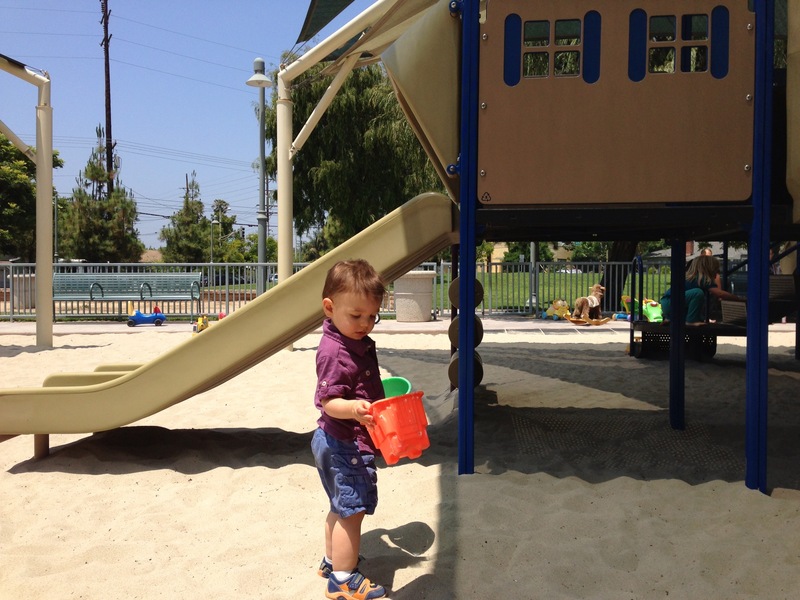 I took Jacob to a new park the other day (a really nice park in Burbank, actually) – my mom was in town and she wanted to get a manicure and get one for Cherise and my sister as well. I went along for the ride and to take care of Jacob while all of this went down. When we got there, it was around Jacob’s nap time, so I figured I would walk with him in the stroller, he’d fall asleep and then I’d hang out while he slept and the women “had their nails did”. As we walked up the street – he was groggy – we came upon this beautiful park. As soon as he saw it, he pointed and got VERY excited. I asked him if he wanted to go and play (I already knew the answer, of course!) He was leaning out of the side of his stroller, so I brought him in. “Oh” She said, followed by: “There’s a another kid” to her friend. And they left. We played for a while longer and then Jacob got hungry, so we left. As we got back to the nail salon, I was still fuming a little (yes, I realize how ridiculous that is) so I told Cherise and my sister the whole story (my mom was on the other side of the salon, so I told her later). They got protective too, at first. Then they realized that the girls probably had a crush on him and wanted attention. Holy crap. I guess that makes more sense. Why didn’t I think of that? Jacob is really tall. He looks like a 3-year-old. And, like I said, he smells fantastic! Wow. Cherise and my sister were right. She must have just had a crush. I really shouldn’t have judged. When I was little, I liked a girl. A friend told me to go and give her a kiss. I went up to her and got so nervous that I bit her instead. Almost took a chunk out of her cheek. This entry was posted in Parenting, Randomness and tagged Baby, children, Family, Jacob, kids, motherhood, outdoors, Parent, park, play, stinky, Toy. Bookmark the permalink. They just wanted attention and to play. That is their way of rousing him into action. I don’t think it a crush or anything like that, but maybe, it’s just using leverage to get someone to do their bidding, in this case chase them.